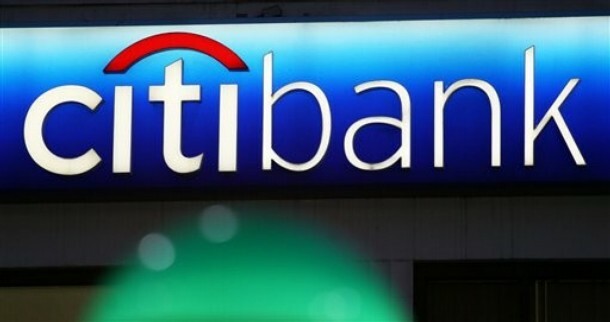 A banking fraud which could run into a whopping Rs 400 crore has been unearthed at leading multinational lender Citibank's Gurgaon (Haryana) branch. Gurgaon Police Commissioner S S Deswal said an FIR under sections of cheating and forgery against a bank employee and three others has been lodged and 18 accounts having close to Rs 4 crore frozen. Sources said funds amounting to Rs 400 crore of 20 high networth customers has been siphoned off. The fraud is said to be a handiwork of Shivraj Puri, the employee who is alleged to have sold investment products to high networth clients claiming that they would generate unusually high returns. It is also alleged that Puri, who is named in the FIR, showed a forged notification of market regulator Securities and Exchange Board of India for obtaining funds from customers. He is also accused of claiming that these products were authorised by the bank's investment product committee. The bank in a statement said, "We immediately reported the matter to all the relevant regulatory and law enforcement authorities. Identified suspicious transactions have been isolated and we are providing full assistance to the authorities in their investigations." Sources said Puri allegedly sought deposits from high networth customers in lucrative schemes but transferred the funds to some fictitious accounts. Funds amounting to Rs 400 crore belonging to about 20 customers were transferred to such accounts, they said. "We recently initiated an investigation into a certain set of suspicious transactions based on documents forged by an employee involving a few accounts in our Gurgaon branch," the bank statement said. The bank said the issue did not impact other accounts or transactions or customers of the bank. The fraud comes to light a month after the Central Bureau of Investigation (CBI) uncovered bribery-for-loan racket leading to arrest of many senior officials of the banks and financial institutions. The bank officials allegedly colluded with the firm to sanction large scale corporate loans, overriding mandatory conditions for such approvals along with other irregularities. CBI has arrested CEO of LIC Housing Finance and seven others senior bankers including Naresh K Chopra, Secretary (Investment), LIC, R N Tayal, General Manager of Bank of India and Maninder Singh Johar, Director (Chartered Accountant) of Central Bank of India.